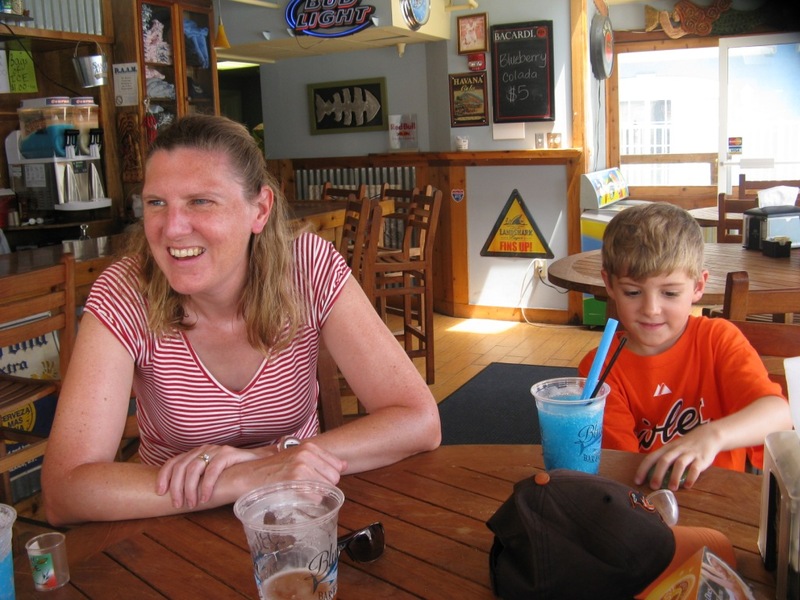 We spent the weekend on the Eastern Shore of Maryland, including a day in Ocean City (Friday, July 17). 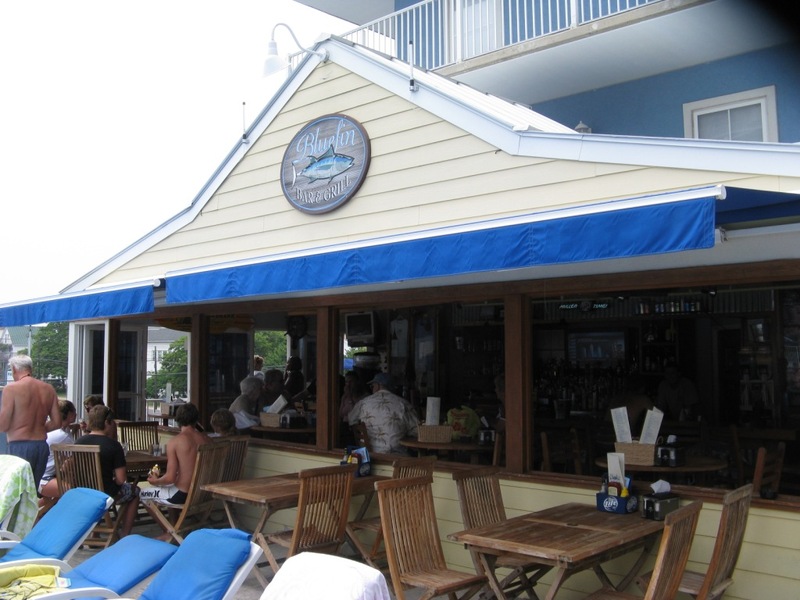 Beyond the boardwalk, we had another destination: The Blue Fin Bar and Grill, at Fourth Street off the boards. 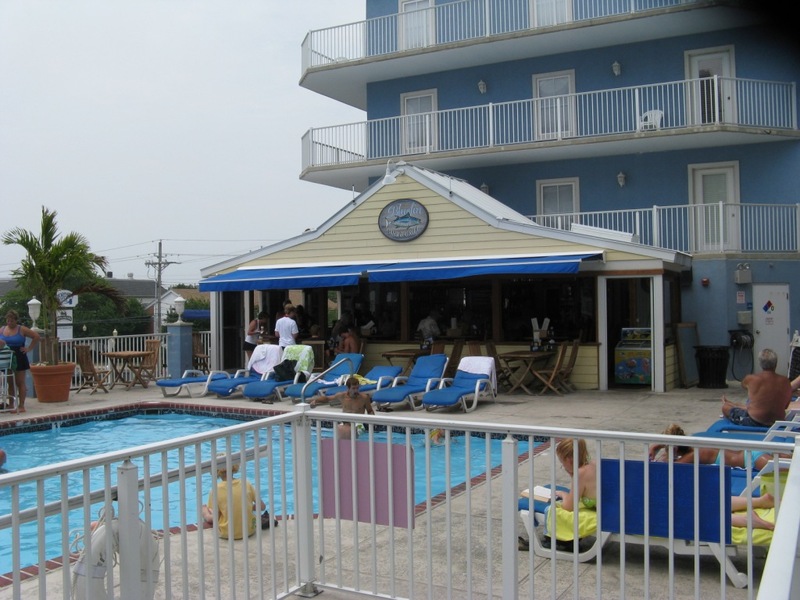 This pool bar is run by one of my best friends, John Cookro, and I was excited about visiting for the first time. Not everyone on the Eastern Shore drinks Natural Light, and I was pleased to find that John had Sam Adams Summer Ale on draft. We had several Sam Summers along with a delicious lunch, highlighted by a crab pizza made with an old Cookro family recipe. 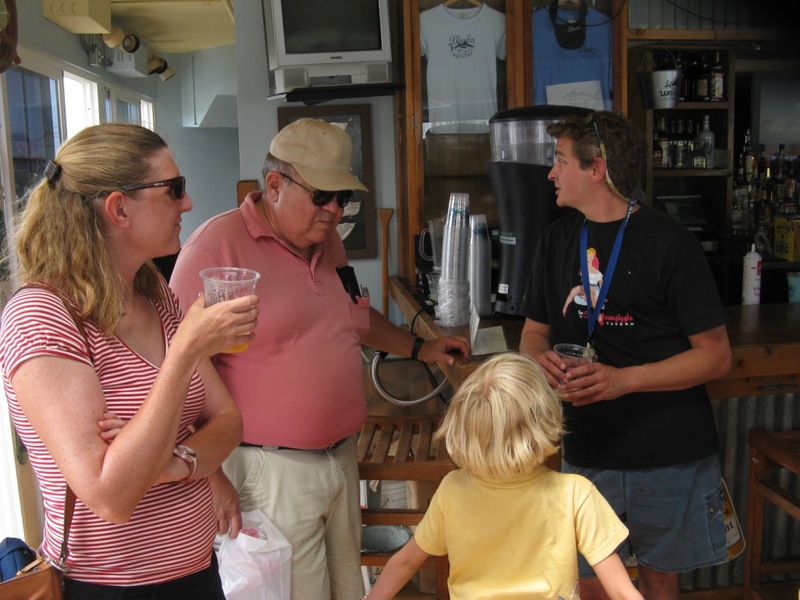 My family and I spent over three hours eating, drinking beer, and hanging out by the pool, and we were joined by my parents and their friends, my sister and her family, and Ryan Gatling and his family. 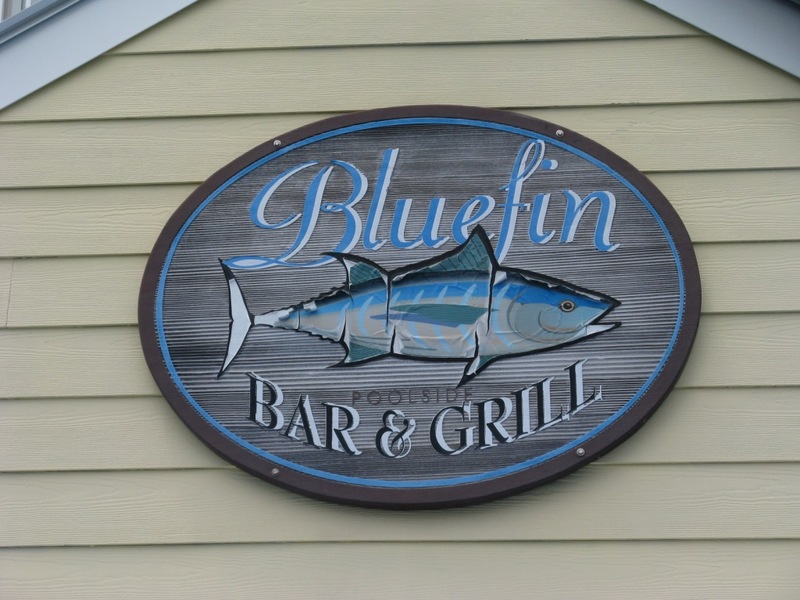 Everyone went away satisfied…we wouldn’t have all bought Blue Fin t-shirts if we felt otherwise! 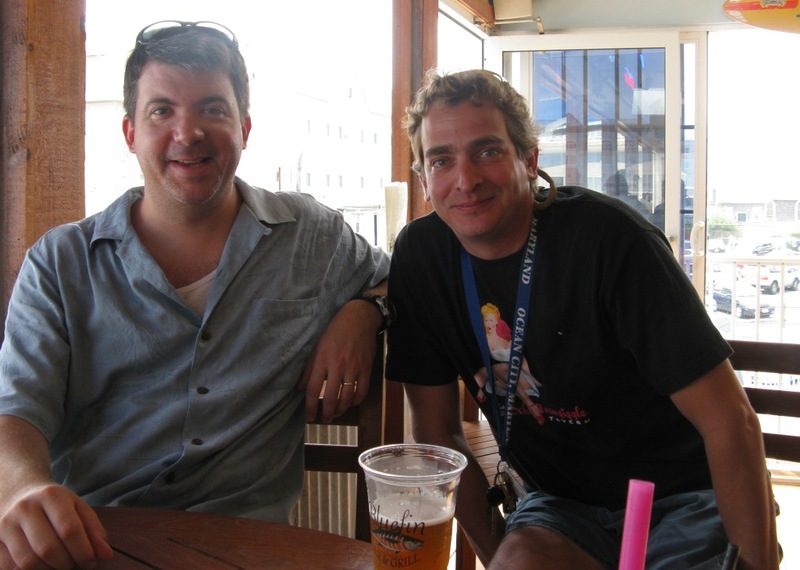 When you stop by the Blue Fin, tell John that Mike B sent you.